These photos came from the Thresher files I mentioned earlier and they are labeled on the back, which is how I know they were taken in 1994. I also know the name of the photographer: Ryan McMullan. Obsolete Technology Bonus: Here are the sports photo files that came over with the old Thresher stuff. Bonus points and adulation to anyone who can identify the machine sitting next to the disk. Overhead projector. Still by far the most reliable projection technology. Would you like some overhead projectors? Amazingly enough, here in Mancos, Colorado, you can still make an overhead projector disappear by putting it out on the sidewalk and using the magic word that makes stuff go away. Taped a sign on one that said “Free” and it was gone before I could add anything else to the pile. Those projectors were always fun to load up with a clear plate of colored oils and play with the pretty patterns at a dance. 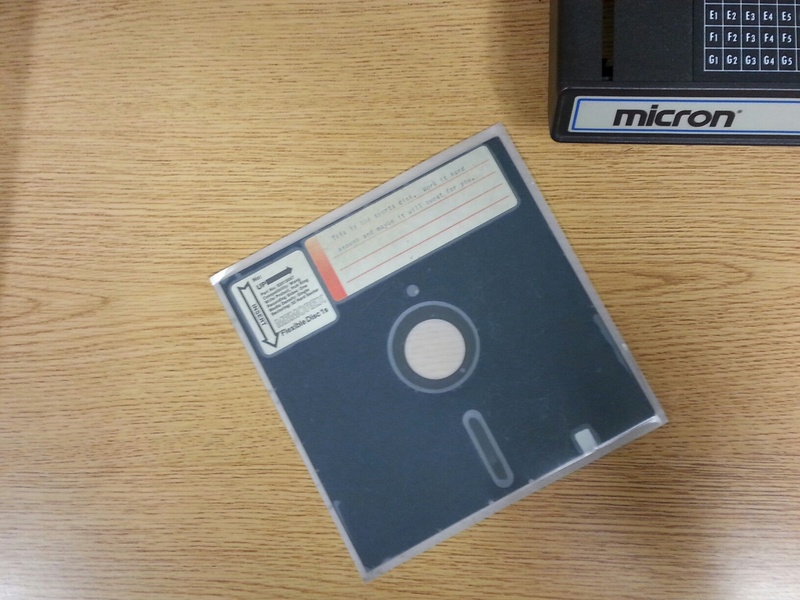 That’s a 5-1/4″ floppy disc next to a Micron (duh!) microfiche reader. Grungy, if I could convince my users to trade those darn ceiling mount LCD projectors for your overhead projectors, I’d take all you could give me. 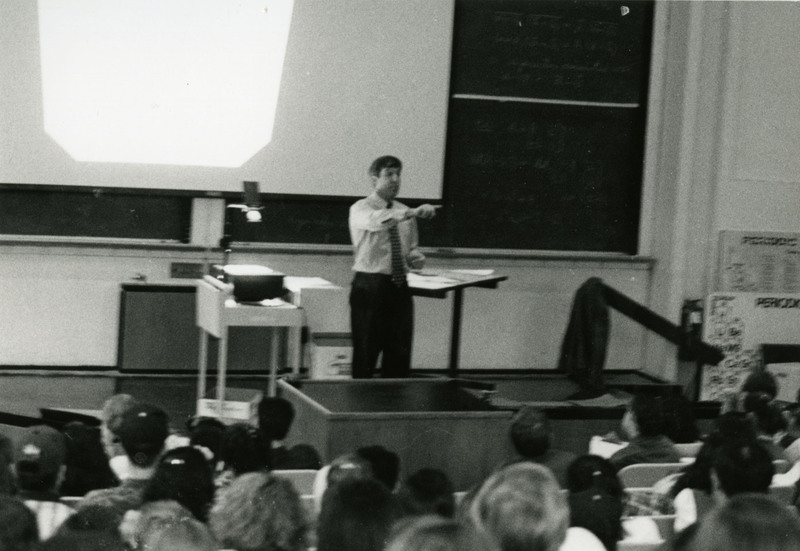 There’s still nothing like an overhead projector for making on-the-fly annotations on the slide. 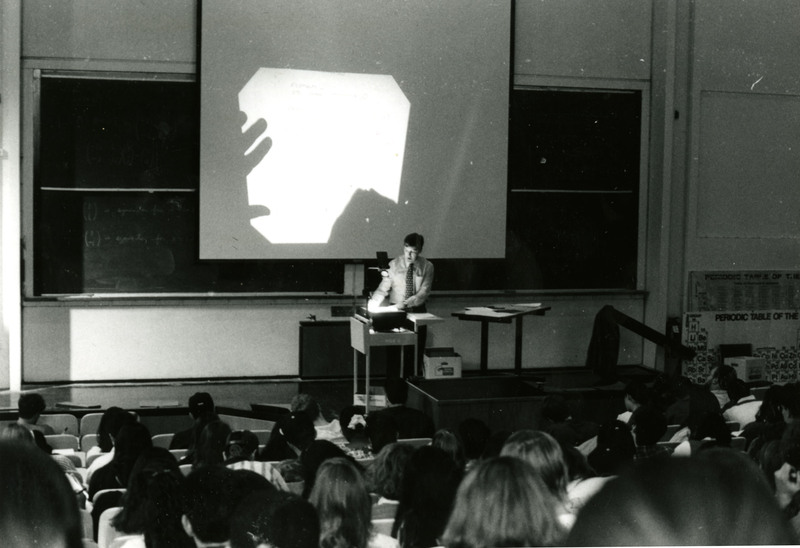 That overhead projector reminds me of the even earlier opaque projector technology. We had those in my high school, but I don’t remember ever seeing one at Rice when I was an undergraduate in the early 70s. Huge hulking thing bouncing light off the printed page and projecting that, instead of using transparencies. We still have an opaque projector at the Shepherd School, and about once a year one of our professors asks to use it. There is always a lot of banter about age and obsolescence when that thing comes out. Now that we have the aforementioned LCD projectors everywhere, it’s easier to use a document camera, which doesn’t weigh as much as a VW Beetle. I have one of the enormous opaque projectors as well.